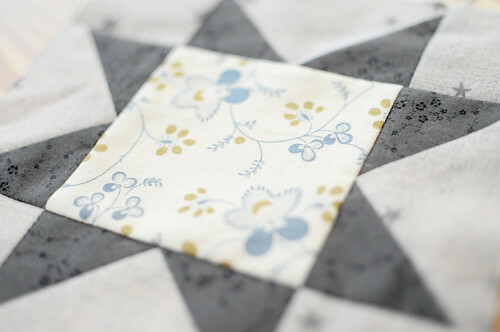 We are a few weeks into the Quilt Sampler 2 class and it’s starting to come together! This is a fairly large quilt and the blocks are different sizes, some much larger than I’ve ever done. The Sawtooth Star section is made of six stars with squares in between. I’m going to wait until more of the quilt is done to decide what the in between fabric will be. I’ve done sawtooth stars before in the Intro to Hand Work class, but I love learning different ways of doing the same block. That’s definitely one of the fascinating things about learning from different people. Speaking of stars! 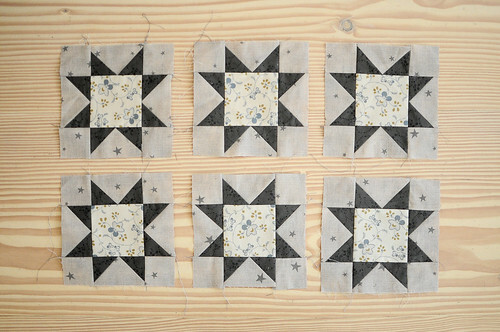 I’m going to take Amanda‘s Star-y Log Cabin Quilt e-course. It starts up next week for eight weeks. I’m dying to learn some of her awesome tricks! Also, her enthusiasm for quilting is completely contagious. (see her adorable video here!) For anyone who can’t make it out to a formal quilting class, this is kinda perfect to work on when you want and at your own pace. I’m planning this quilt for a far in advance gift. It will be fun to work on a project with people in different places of the world. Let me know if you sign up too! Seriously gorgeous stars…I love love love them!!!! Karyn, these are so beautiful. Reminds me that I have sampler 2 homework I should be working on right now! I love seeing what you make – and quilting is really drawing me in this year – but I have no idea where to start. SO, thanks to your post, I have signed up for the Star-y Log Cabin course too – so jazzed, can’t wait to start! 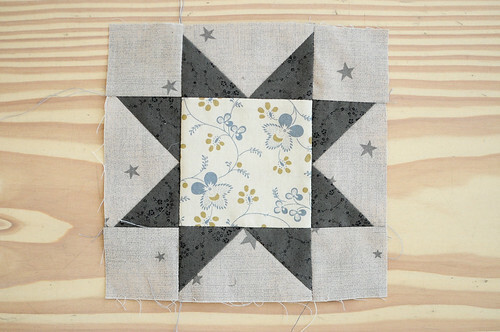 And I LOVE the colours you have chosen for your saw-tooth stars, totally my pallet!